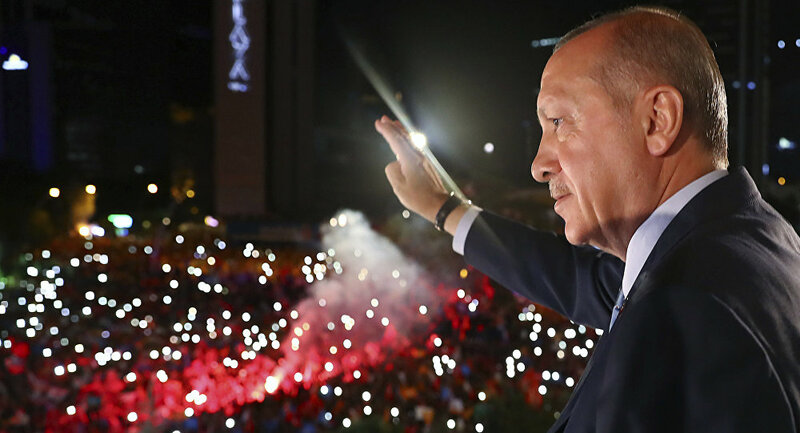 The Washington Post was blasted on Wednesday for giving Turkish President Recep Tayyip Erdogan a platform in the wake of the New Zealand mass shooting, as he used video of the attack during his election campaign rallies in Turkey. The newspaper published an op-ed by Erdogan titled “The New Zealand killer and the Islamic State are cut from the same cloth”, in which he argued that “the terrorists may have different ideologies but their attitudes are eerily similar”. Why the hell would you run a piece from erdogan. — Ordoliberal (@0rdoLiberalism) 20 марта 2019 г.
Erdogan writing so often in your paper!!!! Did he become an editor?!!! — Heavenly breez 🇦🇪🇸🇦 (@khalifa4) 20 марта 2019 г. — Christian Christensen (@ChrChristensen) 20 марта 2019 г. — Zia Weise (@ZiaWeise) 20 марта 2019 г.
Erdogan shows footage from the very massacre he denounces in this "opinion" piece at his election rallies without an ounce of shame, also desecrated the century old peaceful discourse over Gallipoli by threatening both Aussies&Kiwis in a speech, yet you give him space! Bravo! — S.Anıl Yılmaz #Hayır (@sanilyilmaz) 20 марта 2019 г. — Melek Ortabasi (@MOrtabasi) 20 марта 2019 г. In a parallel development, Erdogan faced criticism from New Zealand and Australia after he blasted the two countries for sending troops to Turkey in the World War I Gallipoli campaign, claiming that their motive was anti-Islam-oriented. "They are testing us from 16,500 km away, from New Zealand, with the messages they are giving from there. This isn’t an individual act, this is organised. […] Your grandparents came here… and they returned in caskets. Have no doubt we will send you back like your grandfathers", Erdogan said. His incendiary remarks caused trouble for Turkish Ambassador to Australia Korhan Karakoc, who was summoned by Prime Minister Scott Morrison. “Remarks have been made by Turkish President Erdogan that I consider highly offensive to Australians, and highly reckless in this very sensitive environment. They are offensive because they insult the memory of our Anzacs and they violate the pledge that is etched in the stone at Gallipoli. I do not accept the excuses that have been offered for those comments", Morrison said, adding that he was considering taking further action against Ankara. In addition, Erdogan landed in hot water for using the video of the attack, which New Zealand has been trying to have removed from the internet. New Zealand’s foreign minister is planning to confront Erdogan over his remarks and the use of the footage during his trip to Turkey later this week. The developments come five days after a 28-year-old Australian, Brenton Harrison Tarrant, livestreamed his shooting attack on two Christchurch mosques that claimed the lives of 50 Muslims. The perpetrator, who is said to have wanted to “take revenge” for Europeans killed in terror attacks committed by Muslims, was charged with murder and ordered to remain in custody until 5 April.